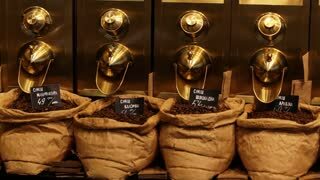 Different paper coffee sacks with various aroma. 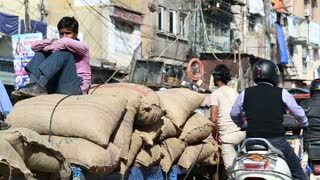 DELHI, INDIA - 4 MARCH 2015: Men by pile of large sacks, with people passing by them. DELHI, INDIA - 4 MARCH 2015: Portrait of Indian man sitting by pile of sacks while people pass by. DELHI, INDIA - 4 MARCH 2015: Men preparing to transfer a pile of sacks, with people coming behind them. JODHPUR, INDIA - 12 FEBRUARY 2015: Storaged products in sacks for sale at local market in Jodhpur. 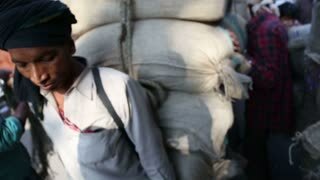 DELHI, INDIA - 4 MARCH 2015: Men waiting to load sacks in a truck, with people passing by them. MUMBAI, INDIA - 10 JANUARY 2015: Man passing by the dark passage full of sorted sacks with laundry in Mumbai. 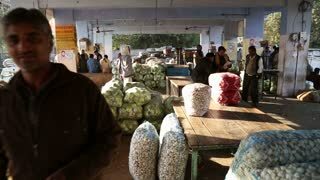 JODHPUR, INDIA - 12 FEBRUARY 2015: Men storing sacks full of products at market in Jodhpur. GOA, INDIA - 26 JANUARY 2015: Men unloading sacks from the back of a truck. JODHPUR, INDIA - 12 FEBRUARY 2015: Woman tying large sacks at market in Jodhpur, with men sitting aside. DELHI, INDIA - 4 MARCH 2015: Portrait of Indian man transporting large pile of sacks down the street. People walk by sacks of potatoes in a Castro market. 1800s: women sweep floor and sew cloth by fireplace. woman uses broom at doorway of log cabin. men load bags, sacks and wood boxes on flatboat on Ohio River. man carries sack past house. UNITED STATES 1950s : Pouches and sacks of mail and parcel are taken from the post office and placed in helicopters, trains, and trucks. Microscopic view of sacks or bubbles containing chains of blue green algae moving around the culture, into and out of focus we explore the different layers of the Nostoc Caeruleum sp. of cyanobacteria blue green algae. Workers cementing the door threshold, Moscow, Russia. Workers prepare the cement in a bucket.